At this time of year, most of us are starting to dream of summer already. Christmas was over a month ago, children are back to school, the world of work is churning again and we’re thinking of somewhere or something to look forward to. Even if it can’t be a full holiday right now, perhaps an afternoon tea experience or a spa break. So, if you’re a hotel and ready for holiday bookings, restaurant reservations or spa services to fill up, it pays to make sure your shop front is well and truly ready because it looks like most of your guests are visiting your website first, before they come and see you in the real world. Of course, we already know about the online shopping habits of millennials. A study, which was conducted with global data collection agency Viga and polled 1,000 18- to 34-year-olds who had booked hotels in the last two years, found that 80% of millennials find a hotel using Google. Younger people might shop online out of pure habit – it’s pretty much how they’ve grown up – but whatever their reason, this is how they’re doing it. So, if your fantastic real-life offering isn’t as good online, you should probably think about changing that. But don’t be fooled into thinking it’s just the younger generation shopping via their laptop, smart phone or tablet. Just yesterday I spoke to a lovely couple, in their 60s and, when they found out I was a photographer, we got talking about online images. They told me that they love to go on holidays, abroad and in the UK, but found that they often couldn’t see the hotel rooms properly on the websites. They reported that often there were nice photos of food and close up ‘arty’ shots, but actually they just wanted to see the kind of room they were looking to book. This all makes sense, right? You wouldn’t buy a dress or shirt online if you couldn’t see it? Well that’s how people are approaching their all their choices these days, from hotels and restaurants to the spa experience and afternoon tea they’re looking to book. Customers want to look online, and they’re shopping around first. So, your online presentation appeals to all ages, perhaps for different reasons sometimes, but the results are the same- conversion from first click to sale. So, if a hotel wants to build trust in their potential customers, their best bet is to tell the truth through quality photos. If the rooms are small, but decorated smartly and the price reflects the size, don’t hide it, show lovely flattering, yet realistic pictures and let the buyer decide. Don’t risk disappointment by trying to show the room as larger than it is through a super wide-angle lens or, worse still, only showing your larger rooms on the website and then get a bad review on TripAdvisor! If you have a good product, capture it well and let the customer make the decision. Whilst it’s important to show your actual rooms clearly online – that’s exactly what people are paying for when booking your hotel, after all; don’t forget the ‘hero images’. These key shots will often help convert your browser to a sale. You know how it is, when your surfing through Bookings.com, looking at a Travelzoo offer or simply seeing an ad pop up on Google, the place with the most enticing and clear photos stand out and act as click-bate, grabbing your attention. So, get a great photo of your fabulous swimming pool, art deco restaurant or cosy bar and make that the headline shot. However, don’t be fooled into thinking just because you’ve replaced your dark, poorly lit room shots with a professional one and a swimming pool splattered across your home page, that you’re done. Customers these days want the whole story. They want an experience, which can easily be demonstrated to them by storytelling images. Friends laughing at the bar facilities, families playing on the beach nearby and couples enjoying a romantic dinner in the hotel restaurant. Do you sell delicious burgers or fine dining? Show them a picture of your mouth-watering dish. Do you have great concierge services? Show them a photo of a family buying theatre tickets or the doorman helping a customer out of a taxi. Pictures tell the full story of your hotel and allow potential customers to ‘step inside’ your world and tempt them to come by for real. 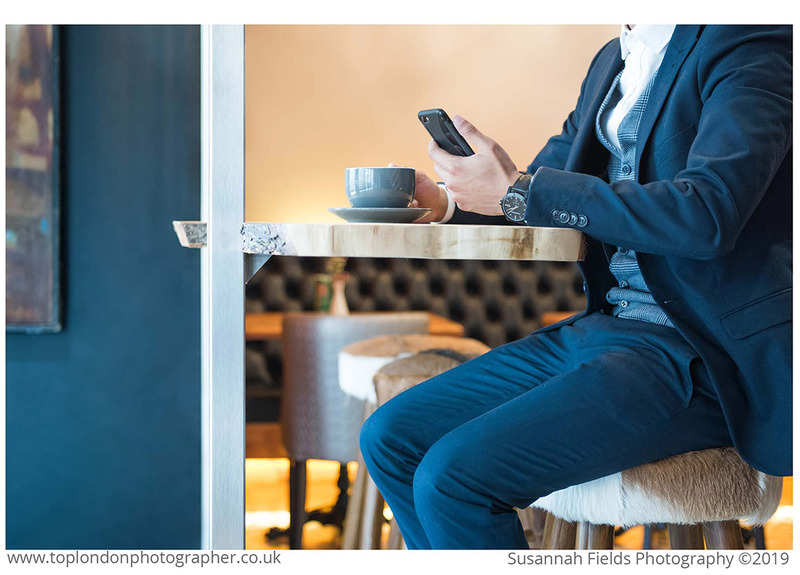 If you want to find out how you can get fabulous photos to enhance your business online, visit www.toplondonphotographer.co.uk and get in touch via email: hello@toplondonphotographer.co.uk to book a free consultation call and discuss how best to showcase your rooms and facilities in their best light.